Kent Vilendrer (M.S., MBA), co-founder of Medical Device Testing Services, has been involved in materials testing applications since 1978. He started out with MTS Systems Corporation as a Design Engineer and worked his way up to a Systems Engineer position developing and building high speed servohydraulic systems for the aerospace, power generation and medical device industries. 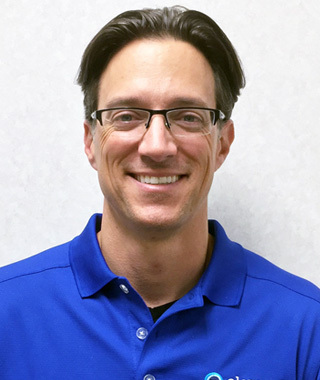 As a Project and Applications Engineer within the MTS Material Test Division, Kent worked closely with customers in determining their test needs and providing targeted solutions to meet those requirements. 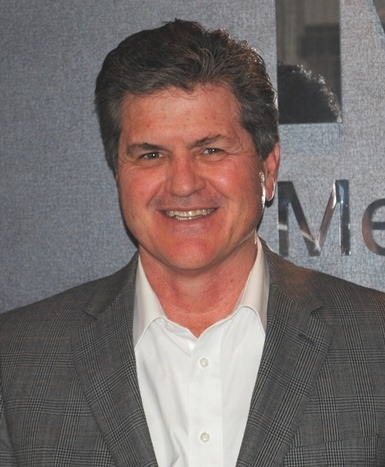 In 1986 Kent left MTS to become the Business Development Manager of Interlaken Technology, where he played a key role in redirecting the company's focus from a consulting firm to a material test equipment manufacturing company. Kent was instrumental in the development of their Series 3000 Material Test Instruments which featured a novel control system. In 2004, the equipment manufacturing part of EnduraTEC was sold to Bose Corporation, and the group was subsequently renamed the Bose ElectroForce Group (now part of TA Instruments). EnduraTEC's contract testing business was retained and renamed to Medical Device Testing Services. Kent's efforts in the material testing industry have led to the development of new test instruments, standards and protocols. He has been a member of the stent task groups for both ISO and ASTM and is involved in instrument, controls, and fixturing research and development projects on an ongoing basis. His technical knowledge base remains a critical asset to the organization and is highly valued by customers. Kent holds a Master's of Science in Mechanical Engineering Design from Stanford University, an MBA from the University of Minnesota, and a B.S. in Mechanical Engineering from the University of Minnesota. Kent holds 6 patents in materials testing, bioreactor designs, fatigue test systems and test fixtures including the original patent 5,670,708 for the 9100 Series Stent Graft Testers used by MDT and now sold by the ElectroForce Group of TA Instruments. He has several patents pending, is continuously developing novel designs, and welcomes partnership opportunities that advance the field of medical device testing. Kristen (B.S.) has been working with MDT since 2012 and is responsible for coordinating lab scheduling and customer communications, overseeing calibration and quality standards and ensuring well-designed test protocols. 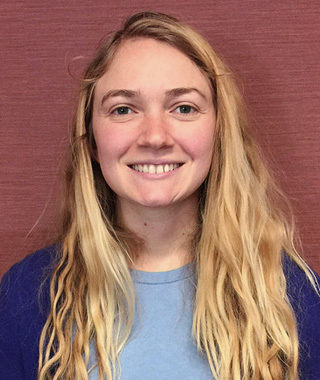 Prior to joining MDT, she worked at the Pacific Northwest Laboratory of the US Department of Energy characterizing polycrystalline optical materials. Kristen holds a B.S. in Material Science and Engineering specializing in polymers and ceramics along with a minor in Bioengineering from Iowa State University. 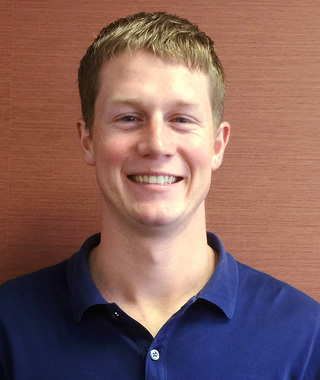 Dustin is responsible for business development activity at MDT including quote generation and customer relations. Prior to joining MDT, he held sales leadership positions for the past 15 years providing a variety of procedural-based medical devices to operating rooms and intervention suites and spent 4 years working in hospital operating rooms and cardiac catheter labs. Dustin's experience includes contract management, project management and C-suite selling. Dustin holds a B.A. degree in Biological and Biomedical Sciences – premed from St. Cloud State University and was inducted in their Intercollegiate Athletic Hall of Fame in 2009. 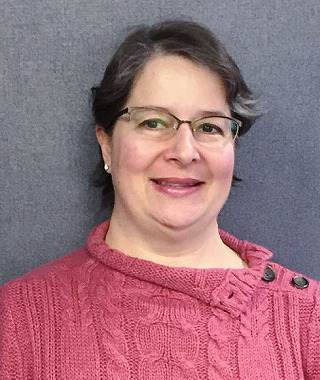 Peggy Wittenberg, Quality Manager for Medical Device Testing Services, has the lead role in maintaining the high quality testing procedures of MDT and A2LA (American Association of Laboratory Accreditation). She has completed the ISO/IEC 17025 Lead Assessor training course, a comprehensive instruction series for the ISO/IEC 17025 quality standard. Peggy studied business at Mankato University. She joined MDT in 2006. Sandy (M.S., PhD) is a biomedical engineering expert in regenerative medicine, bioreactors and mechanical testing. She completed her B.S. in Metallurgical Engineering in 1998 from the National Technical University of Athens and her Ph.D. in Biomedical Engineering in 2003 from the Georgia Institute of Technology in Atlanta. Her doctoral thesis was focused on the development of bioreactors for small diameter tissue-engineered vascular grafts. She continued her postdoctoral training at the University of Minnesota in heart valve and vascular graft tissue engineering while consulting for ElectroForce Systems Group (ESG) of Bose Corporation on the development of the BioDynamic Test Instrument product line. Sandy joined Bose Corporation in 2005 and spent 10 years in various roles and positions. 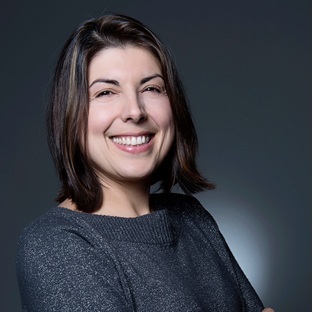 She worked as an applications engineer, market manager for tissue engineering and biomaterials, biologics business unit manager and director of market/product vision development and customer satisfaction. 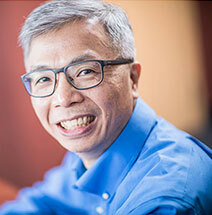 Sandy has authored several papers in peer-reviewed journals, is co-inventor on tissue engineering bioreactor patents, and has presented at numerous international conferences. Sandy is very actively engaged in volunteer professional activities in the biomedical field: she is the co-chair of two task groups for standard guides for characterization of tissue engineered vascular grafts and heart valves at ASTM, is an invited reviewer of submitted manuscripts to the Annals of Biomedical Engineering, Tissue Engineering journals and Cellular and Molecular Bioengineering, is a program evaluator for biomedical engineering programs for ABET, and a grant reviewer for NSF and the Regenerative Medicine Minnesota. Calvin Chao (M.S., B.S. ), Principal Engineer for Medical Device Testing, joined MDT in 2001, and plays an instrumental role in the hands on performance of the company's Test Services. Calvin's broad experience base encompasses test system design and specification. 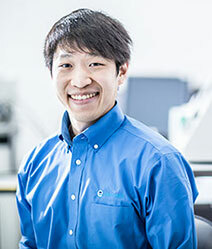 He oversees custom fixture design, testing protocol development and the many nuances of day-to-day test performance. Calvin holds both M.S. and B.S. degrees in Mechanical Engineering from the South China University of Technology and an M.S. in Engineering from the University of Wisconsin at Platteville. Jeff leverages his strong software & design background to develop custom fixture models and test configurations for MDT. He previously worked as a Design Engineer at Barko Hydraulics, a heavy equipment group, where he helped design and manufacture material loaders. Jeff graduated with honors from the University of Minnesota-Duluth with a B.S. in Mechanical Engineering. He completed his Senior work-study project at Graco Pump in Minneapolis, where he designed and implemented a fully automated machine that helped cut 95% of setup time in the working cell. Waylon (B.S.) joined MDT in 2016 and is responsible for equipment calibrations, test monitoring, and test setup. 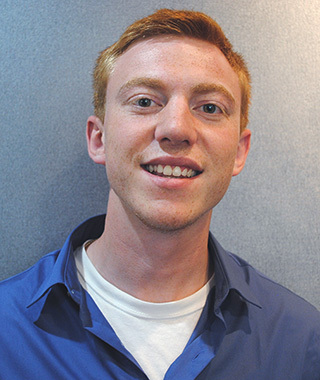 Prior to joining MDT, he worked at Zimmer Spine as a PPC and Supplier Controls Engineer. Waylon holds a B.S. in Biomedical Engineering with an emphasis in medical device design from the University of Minnesota. Carlton (B.S.) joined the Element team in 2017. Prior to Element, he worked as a Design Engineer at RFA Engineering, a product development and engineering services company. Carlton worked primarily with Caterpillar client projects, both in-house and onsite at Caterpillar on various new product design teams. His designs focused on hydraulics and light component fabrications, with an emphasis on performance-based results. Carlton holds a B.S. in Mechanical Engineering from the University of Minnesota-Twin Cities. Scott has worked with MDT since 2008 building custom grips and fixtures for adapting MDT’s equipment inventory to customer test programs. 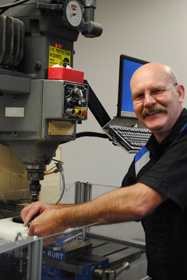 Scott oversees MDT's in-house fully-equipped machine shop that includes two CNC mills. Scott attended Augsburg College in Minneapolis, MN and has been around the machine tool industry for over 30 years having built and rebuilt precision optical instruments that utilized air bearings with 1 millionth inch repeatability. Scott’s varied background includes machining, welding and electronic repair. Janine (B.S.) joined MDT in 2015. 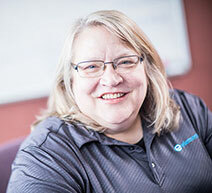 Janine is responsible for managing the client experience at Element Materials Technology Minnetonka, procurement, accounts payable, and organizing office operations and procedures. Previously, Janine worked as Office Manager for Associated Merchandising Corporation and HR Manager at Target Corporation. Janine graduated with a B.S. from Johnson & Wales University. Hailey (B.S.) has been working with MDT since 2016. Her main responsibilities involve maintenance, test setup, test monitoring, and equipment calibration as well as general lab support. She is also the 5s organizational coordinator where she facilitates and plans the functional organization of lab items as well as the overall display of the lab. 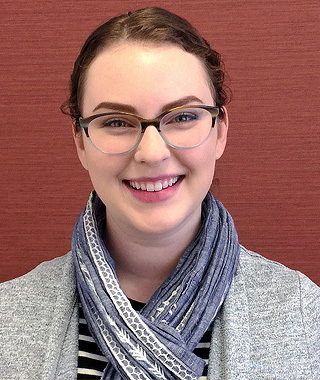 Hailey graduated with a B.S in Biochemistry and a minor in German from the University of Minnesota Twin-Cities where she performed research on the relationships of oxygen and cell migration to the proliferation and development of idiopathic pulmonary fibrosis. Peter (B.A.) joined MDT in 2016 and is responsible for lab technical support including equipment calibration, maintenance, test set-up, and test monitoring. Peter holds a B.A. in Mathematics with minors in Biology and Chemistry from Concordia College. He is currently attending the University of Minnesota and is expected to graduate with an M.S. in Biomedical Engineering with a Math minor in May 2017. 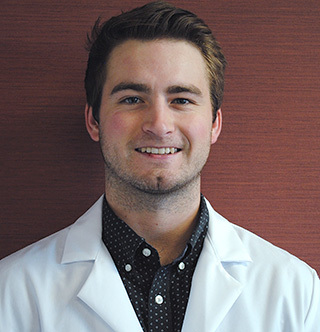 Peter’s graduate research involves using multi-photon microscopy and the fluorescence recovery after photo-bleaching (FRAP) method to study transport in tumors.